Now that we are finally beginning to experience a taste of fall weather, Atlantans are in full swing preparing for the upcoming 2018 holiday season. But let us not forget that this year’s holiday celebrations will extend through February 3, 2019 as Atlanta, Georgia hosts the NFL Super Bowl LIII. The 10-day event leading up to the big game is predicted to bring in over 150,000 visitors for the festivities which include Super Bowl Live at Centennial Olympic Park, Super Bowl Experience at the Georgia World Congress Center and the NFL Honors show at Fox Theatre. A ticket to the Super Bowl would be a once in a lifetime experience, however, that’s not the biggest concern for many Atlanta residents and companies. They’re focused on planning and preparing for the ultimate Super Bowl Party. But there’s no need to sweat the details—leave that to the players on the field—because Roam’s hospitality teams are eager to help you plan and execute the perfect event with a menu, experience and location just right for you and yours guests. With the Super Bowl just a few months away, it’s no surprise that hotels in Downtown Atlanta, Midtown and Buckhead are completely booked and scarce accommodations are available outside the Perimeter. In addition, many restaurants have been approached about buyouts and event venues has been reserved for the 10-day event leading up to the game on February 3rd. The lack of traditional event space has created demand for exploring unique and innovative alternatives for Super Bowl festivities in Atlanta. Rather than looking for the obvious pick, Atlantans are eager to surprise and delight their guests with never-before experiences and party ideas. Onsite parking, open floor concepts, design-enhanced spaces and five Metro Atlanta locations make Roam an ideal venue for Super Bowl celebrations and viewing parties. Whether you prefer to be amongst the excitement in the heart of Buckhead or avoid traffic from the comforts of suburban Alpharetta, Roam offers locations in five of Atlanta’s favorite communities: Alpharetta, Buckhead, Dunwoody, Galleria and Perimeter Center. Ceiling skylights, wood wall detailing, innovative light fixtures and neon signage are just a few of the unique design elements incorporated into our spacious venues. Intentionally crafted environments set the stage for an inviting, fun and celebratory event for friends and coworkers. The only thing more important than the outcome of the game is the tasty food you’ll offer at your Super Bowl party. It is often stressful to prep and serve the food yourself and sifting through caterers can be just as overwhelming. Allow our team of experienced Meeting Coordinators to take this pressure off your plate—literally. Roam has vetted and selected a list of preferred catering vendors that align with our expectations for quality and excellence. We are proud to partner with local Atlanta vendors to offer a variety of flavorful selections for all occasions and dietary restrictions. From finger-licking BBQ and made-to-order pizzas to tailgate light bites and bar services, your personal Meeting Coordinator can work with your budget, dietary needs and food and beverage preferences to craft a personalized menu unique to your event. From setup to clean up, our hospitality team will execute all of the little details while you focus on the important things—like watching the big play! We understand that audio visual is an important factor when hosting your viewing party. As an offsite workplace and meeting facility, A/V capabilities are a priority in the build out of our spaces and can be utilized to enhance your Super Bowl event. Mounted LED screens throughout the venue, HD projectors and screens in large flex rooms and an in-house sound system and audio mixer will equip you to create a game-focused celebration. And if you’re looking to create a next level experience for your guests, we’ve got just the team! Executing the game day experiences for both the Falcons and Atlanta United FC at Mercedes-Benz Stadium, we are proud to partner with our friends at Orchestrate to craft unique and elevated events for our guests at Roam. From plush furnishings and floral design to uplighting and staging, we can partner with you to create an unforgettable experience and environment your guests will enjoy. In a few months, Super Bowl LIII will here in Atlanta—and it’s sure to be record-breaking. 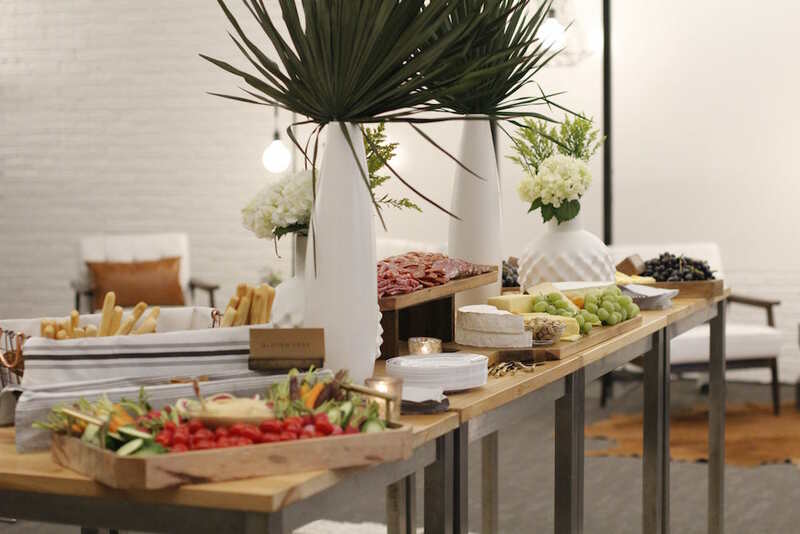 As you begin preparing for the big game and planning for out-of-town client receptions, corporate gatherings and Super Bowl viewing parties, consider how one of Roam’s five Metro Atlanta locations and hospitality teams could assist with hosting your event. Learn more about the Roam experience at meetatroam.com and inquire about your Super Bowl event today at roam@meetatroam.com while availability lasts.